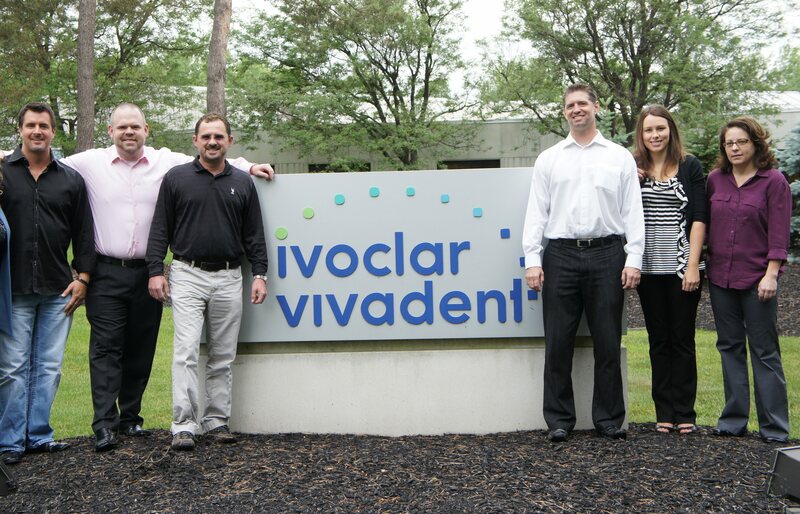 Gold Dust hosted an exclusive group of educators and members of their ceramic team at Ivoclar Vivadent’s headquarters to learn the latest materials advances and techniques for delivering world-class dental restorations. This group provided real world insights to the clinical application and laboratory fabrication of IPS Empress Esthetic and e.Max materials. Clinical educators include (from left to right) Dr. Trent Smallwood, Dr. Chad Yenchesky, Dr. Mike Smith and members of Gold Dust’s Aesthetic team (Luke, Haley, and Heather).